On Monday, December 14th, DOT's Street Ambassadors visited 92 Queens Boulevard businesses along a 1.3-mile-long stretch of the corridor. DOT's Street Ambassadors will be out in full force at Queens Center Mall between December 6th and 13th. They'll be collecting feedback about the current challenges along Queens Boulevard and providing the public with more information about the redesign process. Thanks for attending our Phase 2 Safety Workshop! DOT held a Safety Workshop on November 12, 2015, at JFK Jr. School in Elmhurst to gather input on the second phase of Queens Boulevard between 73rd Street and Eliot Avenue. Join us to discuss safety improvements on Queens Boulevard! NYCDOT will hold a Safety Workshop on November 12, 2015 from 7-9pm at the JFK Jr. School at 57-12 94th Street in Elmhurst. Join community members to identify street safety concerns and brainstorm design solutions to enhance safety along Queens Boulevard. Thanks for attending our Safety Workshop! DOT held a Safety Workshop on January 21, 2015 at P.S. 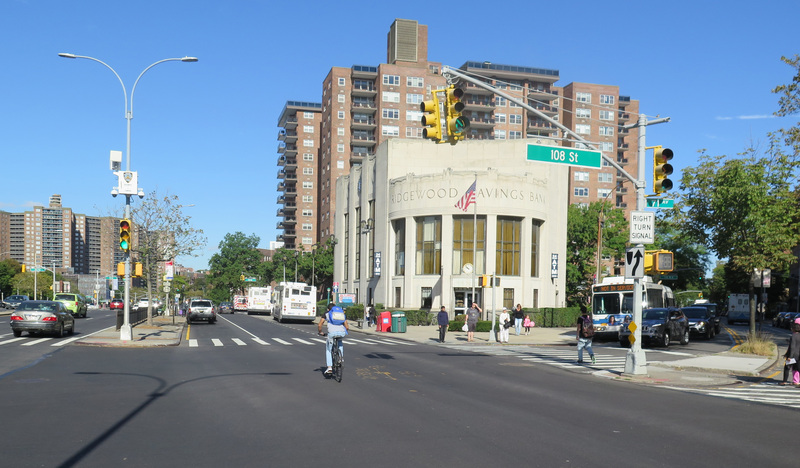 11 in Woodside to gather input on Queens Boulevard between Roosevelt Avenue and 73rd Street. The community identified street safety concerns and brainstormed design solutions to enhance safety along Queens Boulevard.